Northern India is a spectacular region which abounds in towering mountain ranges, fertile plains and mass of humanity subsisting in urban centers. It is also hub of tourism. Northern India encapsulates amazing terrain that attracts thousands of visitors each year. J&K, Himachal Pradesh, Uttranchal, Uttar Pradesh and New Delhi are the hub of tourism in the country. 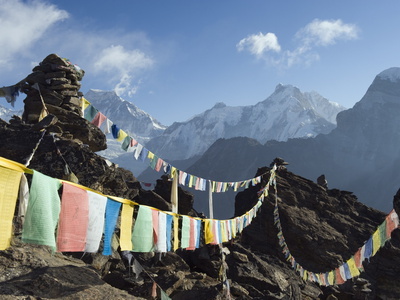 Each place has grand offerings that pertain to wildlife, pilgrimage, holidaying and sightseeing. The places are well equipped for travel with infrastructure in place that facilitates many recreational activities. The region is well connected with the rest of the country and hence offers an easy access. The most popular language is Hindi but English is perfectly understood and helps inbound travelers. The diverse profile of the land is striking. The ever changing landscapes, history, culture and the cool weather all team up to create an attractive composition. The striking features, colorful masses, quaint hamlets and ancient monuments thriving in absolute harmony with the urbanity blowing out of its seams beckon one and all. To the extreme north are the Himalayas. The World's tallest and new born mountain range create a spectacular panorama which mesmerizes to the core. The land encapsulates in the womb a region often called the foothills. It scales differing heights overlapping one above the other giving rise to a delightful tapestry of terrains. The fascinating Leh and Laddakh home of Buddhist monasteries, large swathes of cold desert with rare wilderness are magnificent stretches that are no less than heaven on Earth. The Vale of Kashmir with its legendary beauty is one of the most enchanting paradise. Mountains, valleys, pristine rivers and colorful gardens ensconce an agglomeration of courteous and friendly people with simple lifestyle. Himachal Pradesh and Uttarakhand offers escape from drudgery of daily life in the cities. These are Northern Indian States with hill resorts which are among the most popular with the local tourists. However a large number of inbound tourists visit these places for bird watching and wildlife safaris. 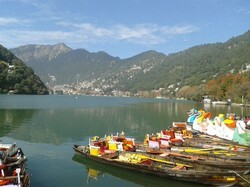 Shimla and Nainital are the best summer retreats that are popular for sightseeing and recreation. Shimla Hills are situated at the height of 2000 plus MSL and the city has become the capital of Himachal Pradesh in India. Along with the State there are many places for birding since the altitude migrants increase the numbers throughout. The high altitude sub alpine forests nurture a unique ecosystem that is home to rare forms of animals. Some of the species found here the musk deer, snow leopard, yak, blue sheep, tahr, Himalayan black bear, wolf, red panda, bharal, serow, brown bear, Himalayan civet and leopard. Some of the popular wildlife destinations are the Great Himachal national Park and Pine Valley besides many sanctuaries suitable for safaris. Uttarakhand is home to many interesting destination most popular being Corbett Tiger Reserve and Nainital Township in the Kumaon Foothills. There are many retreats like Almora, Mussorie, Dehradun, Nainital DIstrict and Binsar. From Binsar it possible to get a view of Himalayan Range and enjoy wildlife as the sanctuary surrounds the destination. These places constitute excellent summer retreats while one can also visit National Parks for wildlife safaris. The animals seen are the goral, musk deer, hog deer, sambar, spotted deer, leopard, tiger, bears and so on. Apart from Corbett or wild places are Nanda Devi, Valley of Flowers and Rajaji National Park. The focus is on the Capital City which has magnetic attraction due to its buzzing lifestyle, rich culture and amazing monuments. These are the delightful aspects of New Delhi, besides it acts as conduit to many places of tourism in Northern India. Some of the worth visiting places are the Lotus Temple, Red Fort, Swami Narayan Temple, Qutub Minar, Chandni Chowk, Cannaught Place, Jama Masjid & Lodhi Gardens. The city abounds in restaurants, malls, theaters and many other places of interest. This bustling hub of humanity provides access to India through the Indira Gandhi International Airport. Flights connect to major cities in the country. Most of the Embassies and Consulates are situated here. Uttar Pradesh and Uttranchal State are popular for pilgrimage at many places. These are places much traveled by the Hindu pious to conduct religious rites and rituals and to attain peace and salvation. Mathura the birth place of Lord Krishna is another popular destination. The city is full of visitors whence Lord's birth is celebrated during Janam Ashtami. From Mathura one proceeds to Agra for sightseeing. It is at a distance of 200 plus km and can be accessed by rail and road. The city is immensely popular because of monuments like Taj Mahal, Red Fort and Fatehpur Sikri. All the places can be visited in one day hence the tourists chalk out there itinerary from here. Uttarakhand hosts many destinations popular for religious tourism especially Char Dham Yatra. These places are Haridwar, Kedarnath, Badrinath and Risikesh which are included in the Yatra package. The places described above can be visited independently or one can be a part of a group. For solo travel one needs to book all facility in advance and be assured. The landing place is New Delhi from where one can visit Agra as per the itinerary. The tour design should be such that you move to one chosen destination after another. Hotel reservations taxi and local mode of transportation is essentially made much in advance. For wildlife safari one needs advance booking at the entry point. This can be done online as well as by contact. For bird watching a naturalists guide should be brought into the picture using the hotel contacts. All travel accessories including medicine should be with you all the time. ATMs or banking facilities may not be available in remote places so keep the resources all along. Bargaining will help bring the cost down but this will only happen during the off season. One can also be a part of a North India package tour if your are prepared for group travel. These are managed by many tour operators in India. This is a very comfortable way since one need not bother about booking and other arrangements. The added advantage is that of the group leader who usually accompanies through out the itinerary. Make sure the taxi driver is accustomed to driving in the higher reaches. The roads can be full of climbs and contours. . Reviews the history, geography, and culture of North India, describes tourist attractions in each region, and recommends hotels and restaurants. Chennai (formerly Madras) is the fourth largest city in India and the capital of the southern Indian state of Tamil Nadu. Delhi is northern India's largest city. It comprises Old Delhi, the old Mughal capital of India, and New Delhi, a new area developed by the British and now modern India's capital.